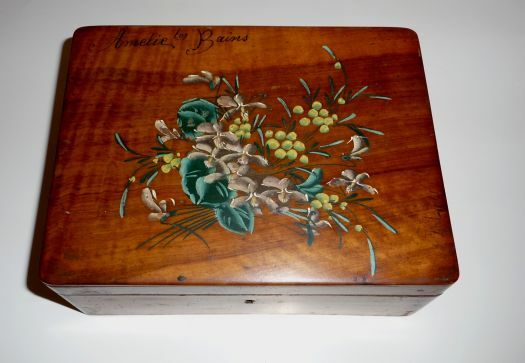 Charming wooden box with floral design. 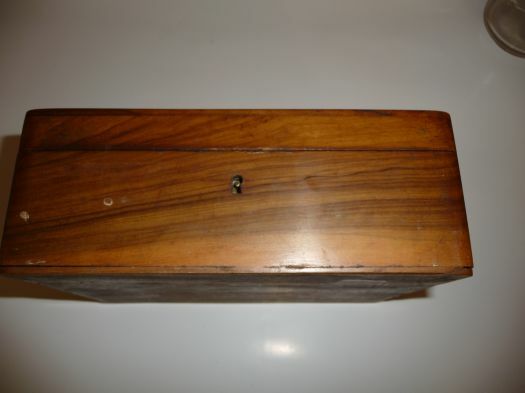 There is the original key and it works. 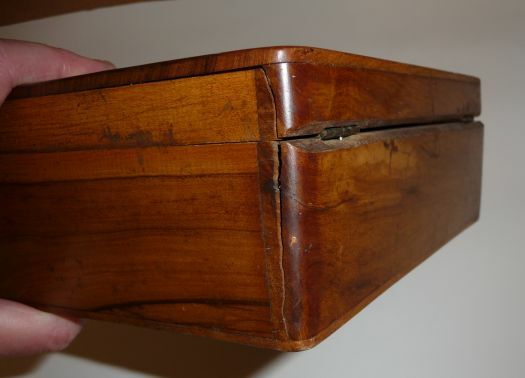 There is a crack behind (picture) and the red fabrics inside is very old and fragile. 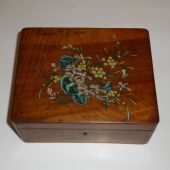 19,8 cm x 15 cm ; height 7,5 cm. 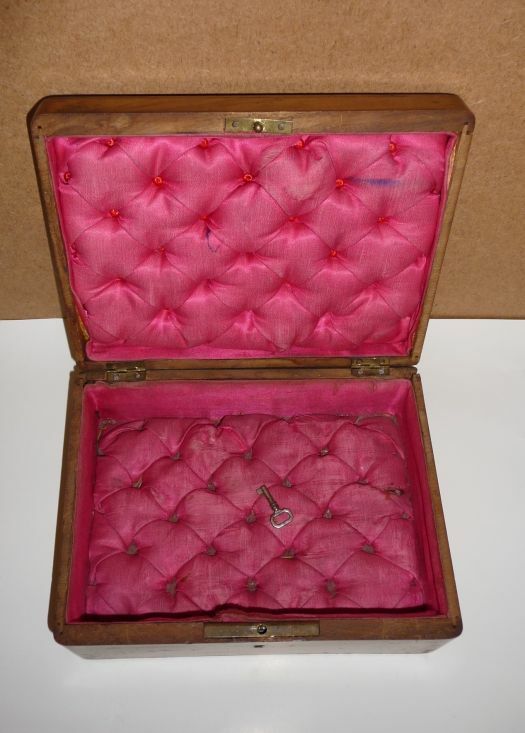 This box is not in perfect condition but is quite charming !